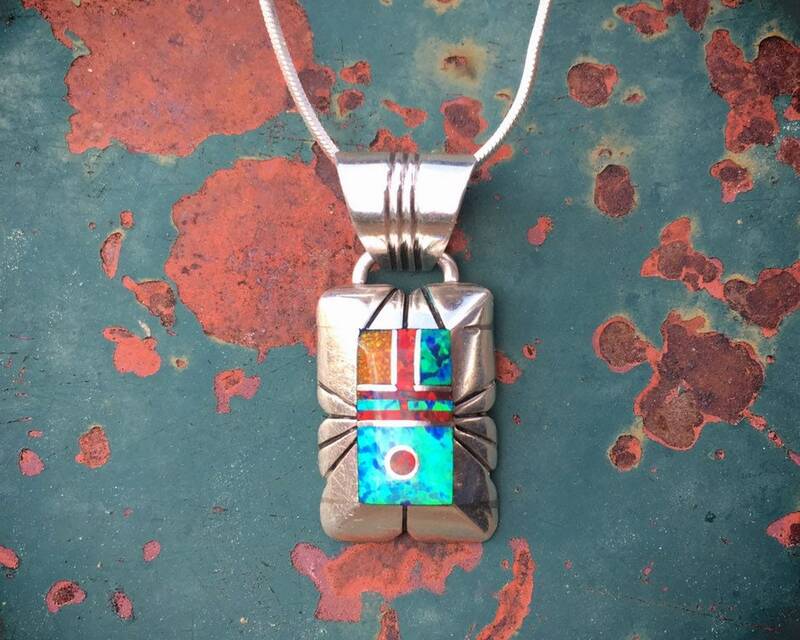 This circa 1990s channel inlay pendant is small yet lovely with different colors of manmade opal set into a geometric design. 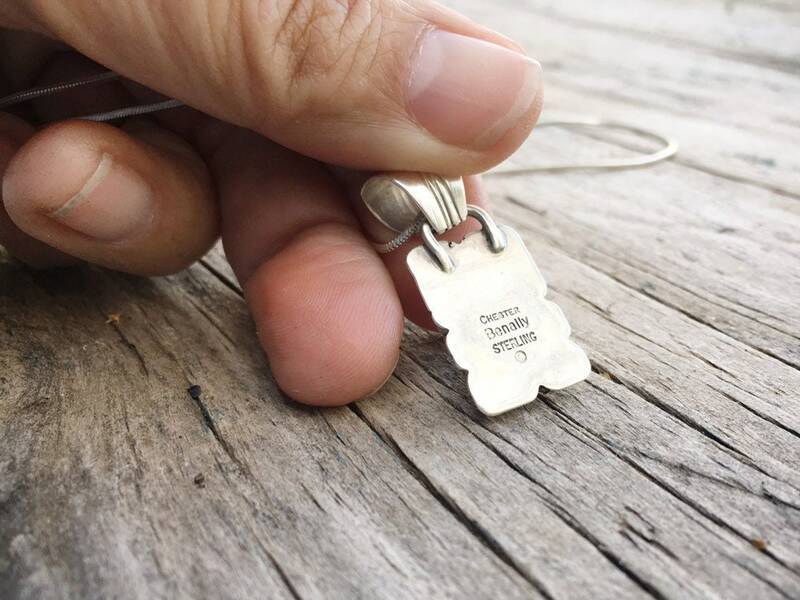 The sterling silver is hand stamped, including the bail, which is part of the overall beauty of the piece. 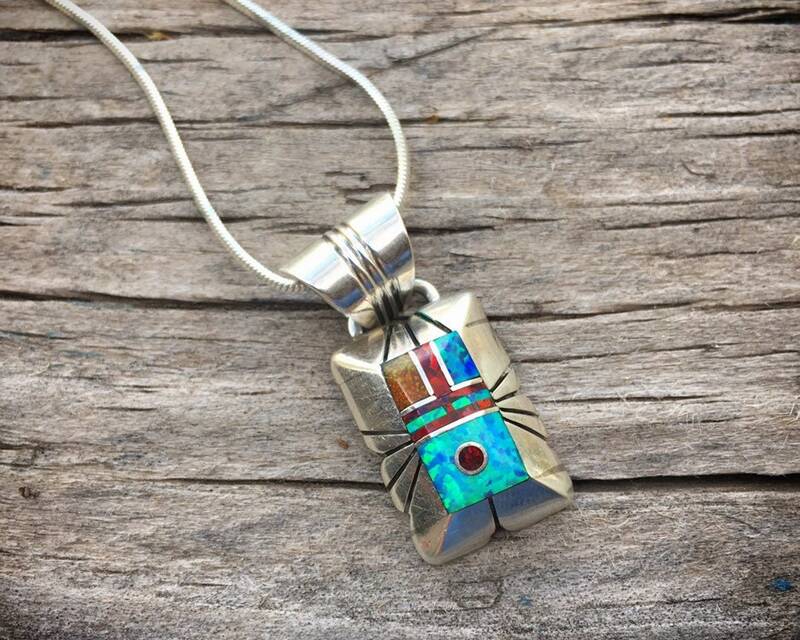 It was made by award-winning Navajo silversmith and lapidary Chester Benally, known for precise channel inlay work, a complex process whereby pieces of gemstone--in this case, opal--are hand cut and laid within sterling silver borders or channels. 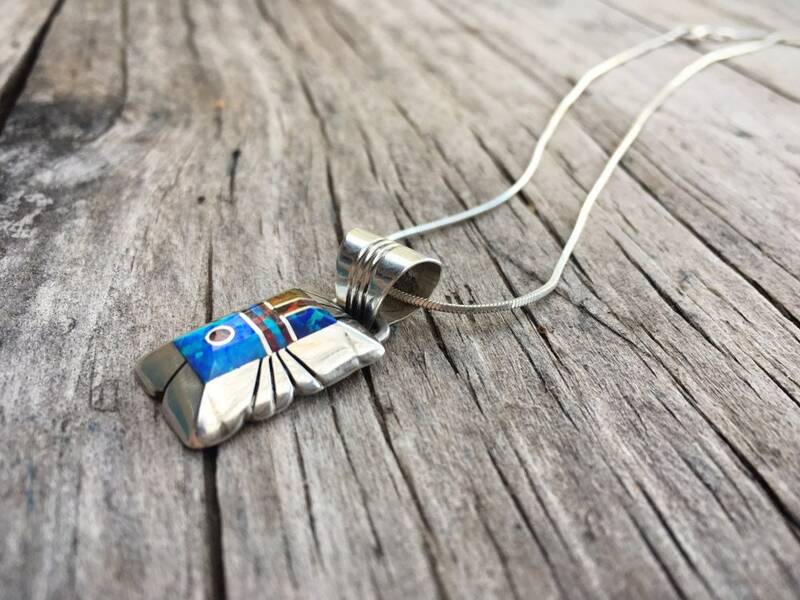 The channel inlay surface is flush with the sterling silver bezel, and the frame is tapered at the edges. 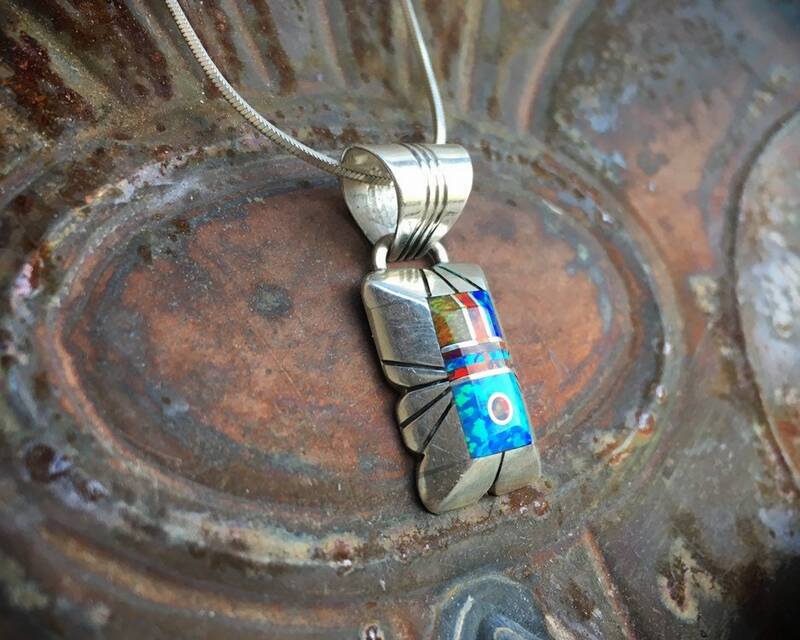 Original rope chain is also sterling silver. 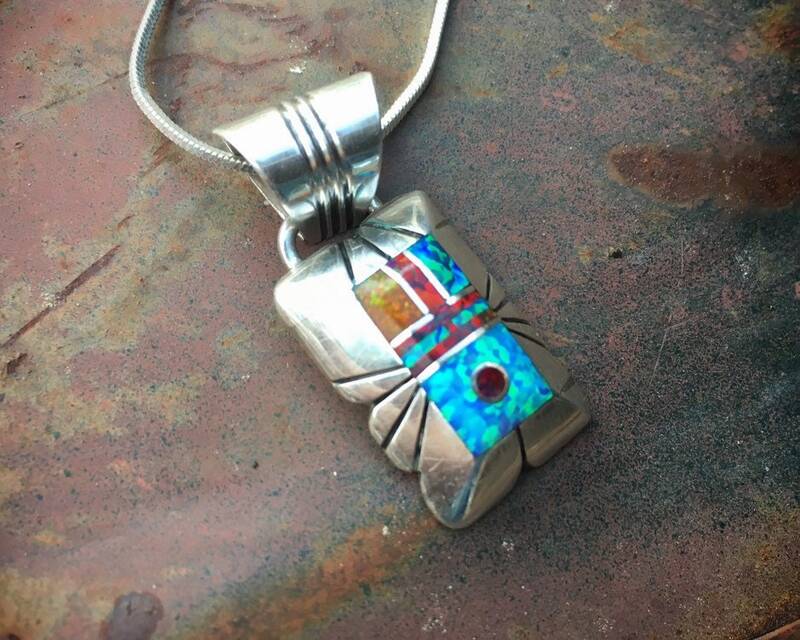 Opal is the gemstone associated with the 14th anniversary, and this would be a great gift for the person who loves jewelry that is not too large yet still striking. 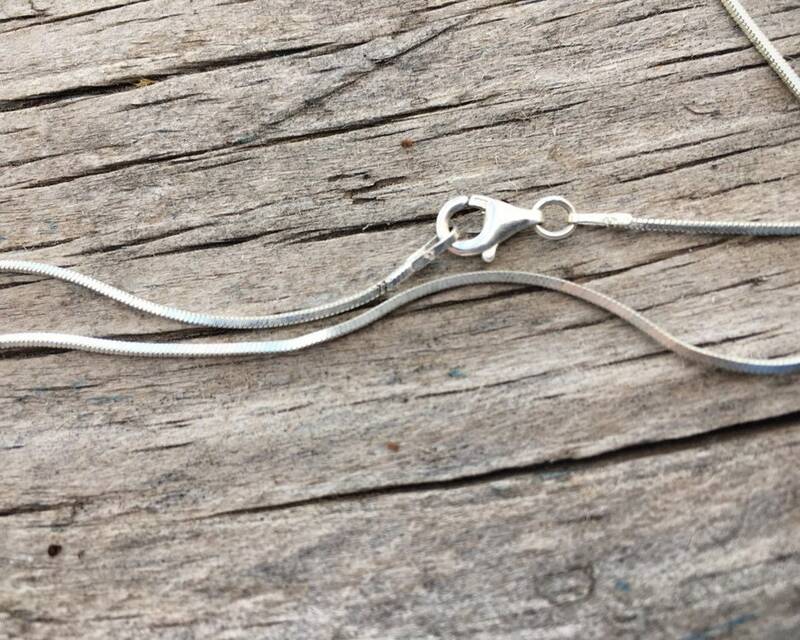 This pendant measures 1-1/4" including the bail by just over 1/2" across at the widest point. The 18" chain is a great complement to the pendant. 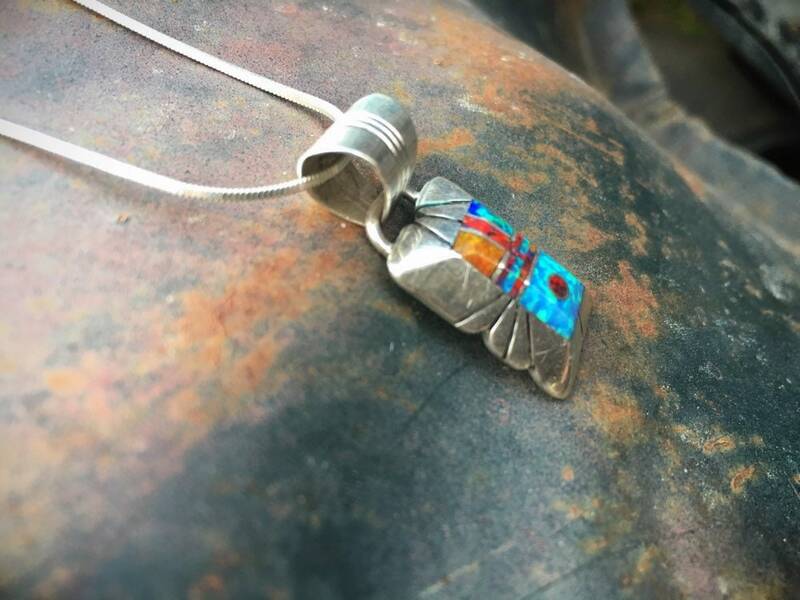 With that size of chain the pendant will lie right between the collar bone on many woman, and be a focal point for someone's gaze. 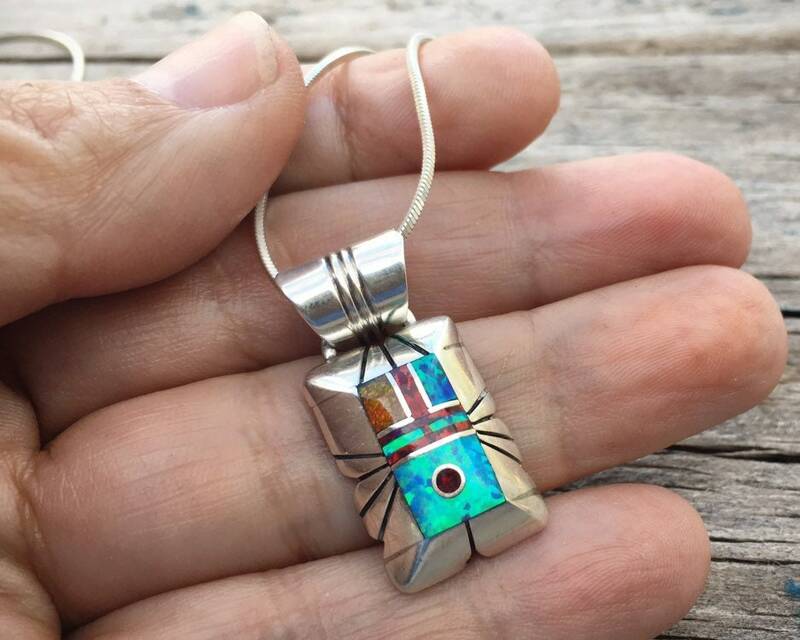 The artist's hallmark and the word "STERLING" are stamped on the back. In good condition. 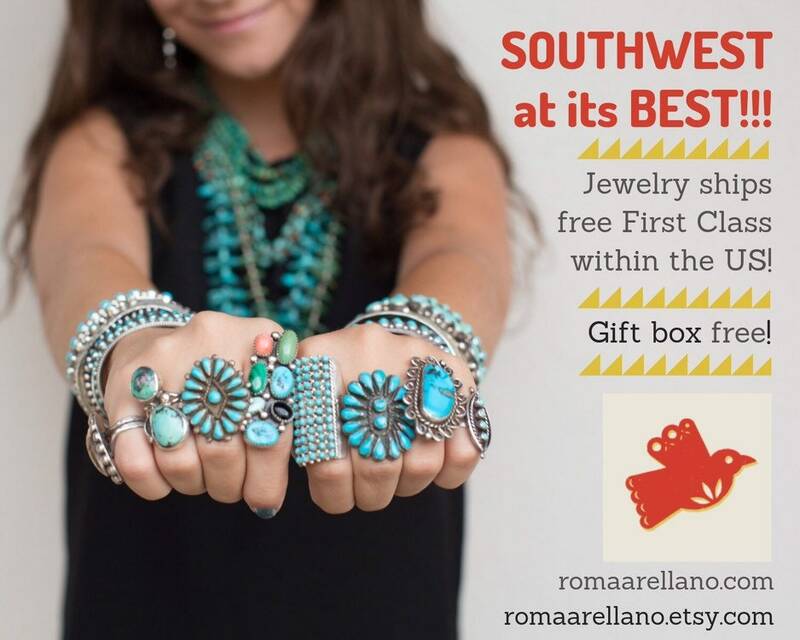 A luminescent gift--for someone who is a light in your life, including yourself.